We are grateful for your support of Stella Maris Academy. 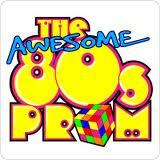 Please consider donating to the 2015 Gala Fundraiser 80’s Prom Night. All proceeds from the Gala Fundraiser go directly back into educating the students at Stella Maris Academy.